Q: I’m working for an IoT start-up and we are looking at BT 4.0 for communication in home automation. We would really like to know about your opinion about BT 4.0, while we have ZigBee and other protocols for home automation, I feel the low power utilization and mesh topology support really favours BT. I would like to know what according to you would be the limitations of BT on a home automation set-up. I understand that there are no theoretical limitations when it comes to number of clients that can connect to a server. But I’ve read the hardware may enforce some limits. Would it be possible to connect 15-20 clients to a server? If we are not going for a mesh network. I see that you have iBeacons. Have you tried a scale scenario, what was the maximum number of clients that you were able to connect to a single server? A: There is no limitation at your server. Google and Amazon will offer you nearly endless power. If it comes to a home automation (non cloud) at your home, then a customised Android TV box can do the job as well. BLE covers a secure bonded connection and a non secure broadcasted connection. The iBeacon and other BLE beacon are broadcaster. Everybody can listen to. Nevertheless, for some applications the BLE broadcaster is perfect. The range of a BLE beacon is limited. The BLE beacon here offers up to 150 meter in line-of-sight. If it comes to home automation line-of-sight will be reduced to some meters because we have walls at home. The smart phone or a BLE beacon in your pocket will get an attenuation by the human body. On top smart phones often have worst antenna technologies in comparison to the BLE beacons. A smart-phone or a BLE device working in central mode has a limited number of bonded connections. 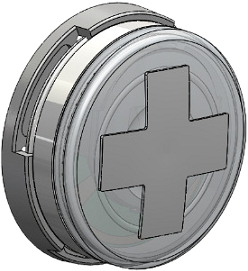 A BLE module in central mode offers 3 to 8 and a smart-phone up to 15. It is aways a matter of RAM and the operating system. BLE at home will need some kind of BLE to other wireless technology gateway. The most common wireless technology at homes is Wi-Fi. 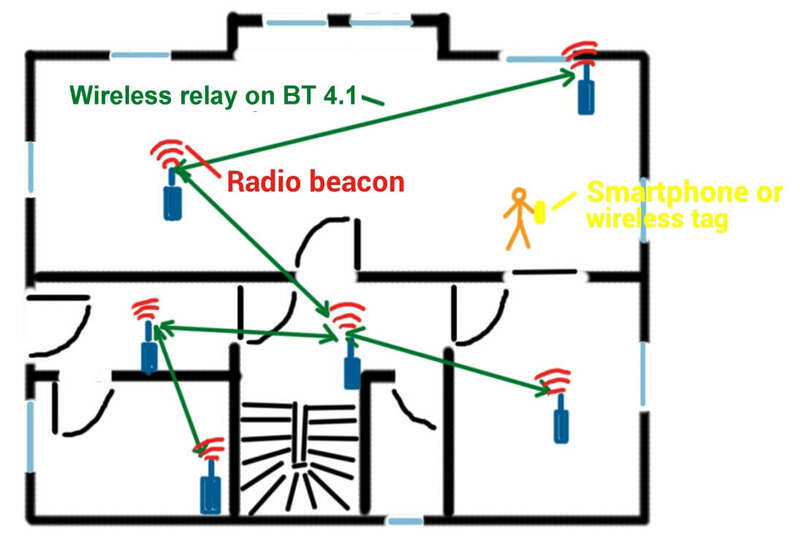 Let us go ahead for an example to a home automation on a combination of Wi-Fi and BLE. Such a Wi-Fi – BLE gateway can be designed easily and cheap on a combined Wi-Fi-BLE module. 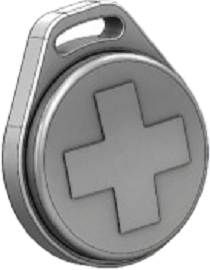 The BLE client could be the BLE beacon in your pocket or at your wall up to your smart-phone or tablet. The cheapest server you can get is a ready-to-use Android TV box. On several boxes you can run a Linux as well. If you stay on Android, then a bulk of services and apps is available. Temperature sensors are a common hardware in home automation. If a BLE beacon will broadcast the temperature at the living room and outside at the veranda then the delta of the temperature can be used to optimise the heating or the air condition. Each Wi-Fi to BLE gateway can be used for presence detection. Any BLE beacon has a unique ID. 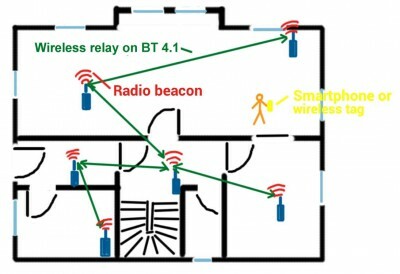 A BLE beacon at a key-fob or the smart-phone on broadcasting can be used to detect which user is staying in which room. This information is useful to power on or off the light, to regulate the temperature in a room or to start the streaming of the music you like. Each BLE beacon in a pocket can be used to control your car as well. Indirect light at cabinets are common. They are often on prosperity wireless radio protocols. If this will be replaced to BLE, then the light at the cabinet can be controlled by smart-phone or tablet. If you plan to develop an home automation application then do not hesitate to email to harald.naumann(at)gsm-modem.de to get an offer on Wi-FI / BLE or any other radio technology. We are a solution provider company and are planning to tie with some manufacturer to offer various solutions on the BLE / Wifi gateway.If interested please contact us. I am busy with my own gateways and the gateways of my customers.